Are scenery and heritage your thing? Then get ready for a tour to remember. Setting off on the N25 from Waterford, this driving loop ducks between the Comeragh Mountains and Copper Coast, following the N72 to its first stop, the dazzling heritage town of Lismore. 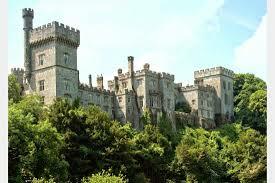 Lismore’s showpiece is its castle, founded in 1185 and today belonging to the Duke of Devonshire. The Gothic pile occupies a jaw-dropping perch above the River Blackwater, and its gardens and art gallery are open from March to September. There’s a lot more to Lismore, however. Did you know that there is a stained-glass window by Edward Burne-Jones in St. Carthage’s Cathedral? Or that its Immrama Travel Writing Festival has hosted Michael Palin and Pico Iyer as guests? culminating in breathtaking fashion at the Vee, a hairpin bend overlooking the Golden Vale. 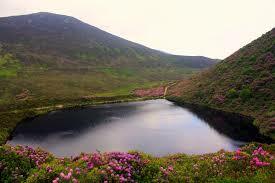 Pull into the lay-by here for a birds’ eye view over Baylough, a corrie lake which legend says the witch Petticoat Loose was condemned to empty with a thimble. It’s a stunning vista. The journey from Cahir back to Waterford via the N24 is spotted with relics of the Butler dynasty. Cahir Castle is exquisitely preserved next to a gushing weir. 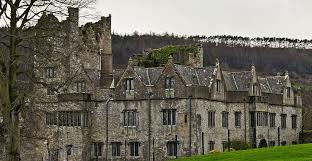 Carrick-on-Suir’s Ormond Castle was Black Tom Butler’s architectural ode to Queen Elizabeth – despite its long gallery studded with decorative plasterwork devoted to the Virgin Queen, however, she never visited. The Vee Drive also features two spurs, which you can use as detours if time permits. 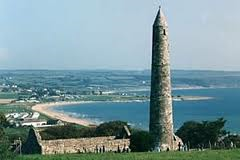 The first zips down to Ardmore, where St. Declan founded a monastery in the fifth century, and where a round tower, cathedral and hermitage captivate visitors to this day. Ardmore is also well known for its Pottery and Art Gallery. 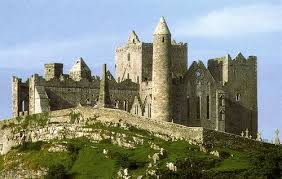 Believe it or not, it’s possible to walk from here to Cashel, to which the second spur detours, via St. Declan’s Way. 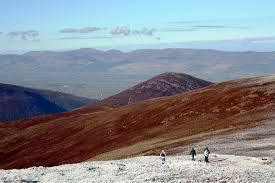 Ireland’s answer to the Camino is an ancient pilgrim path some 94km in length!